When conducting a 5S project, no one ever seems to really have much trouble with the first three. Sorting, setting in order, and shining are relatively straightforward and most 5S guides give aspiring Lean managers a simple step-by-step set of instructions for completing each. Then we reach standardize, and people have to work a little bit harder to grasp how they can take what they just implemented in 5S project and make the system the norm for their workers. This step is always a bit harder but, again, people usually seem to be able to wrap their heads around it. But then we reach sustain. At this point, all figurative hell tends to break loose. People are uncertain of how they can get their workers to sustain efforts they’ve already made and keep the results and benefits they’ve experienced ongoing. In many 5S guides, instructions for exactly how to sustain your efforts are rather vague. This blog post is going to be anything but vague; in the next five minutes, we’re going to break down “sustain” into steps that you can complete one by one in order to make sure that your efforts stick. A careful transference of each one into your own workplace will put you on track for sustaining your efforts. In the workplace, mindsharing quite literally means to share what’s on your mind in such a way that other people “get it.” In the case of 5S, this means communicating to your workers the kind of benefits they can expect from adhering to a 5S’d workplace. If workers think a 5S organization is just some crazy new project the bosses are trying out, they aren’t going to put much heart into it. If, however, they feel that maintaining a 5S style is going to help increase their own efficiency by decreasing search and changeover times, or through other benefits, then they might start to align their own views with your own. This can mean branching beyond basic training sessions to address workers either as groups or one on one and talk about the benefits their particular position or team might feel. Ultimately, mindsharing is one of the most powerful tools to keeping 5S sustained. Click HERE to find more 5S Training DVD’s like this one. Of course, that doesn’t mean it’s a full replacement to traditional training, oh no! When you are first implementing 5S, you need to train all of your workers on what a 5S’d area or system looks like, and how they’re expected to operate within it. Obviously, without every affected work knowing this – even if they aren’t part of the implementation team – it’s going to be really hard for them to correctly fit into the 5S puzzle. In training, cover things like how organization is to be carried out, and what behaviors your expect from workers once the initial sorting is completed. This includes things like tracking the usage of items whose usefulness you’re questioning, putting things back in their place immediately upon use or upon shift ending, and logging equipment in and out of a designated area. 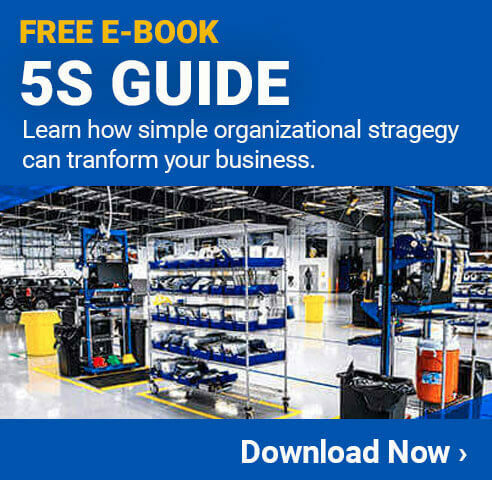 Any way you can show workers how much 5S has had a direct impact on their daily work lives and the smoothness of operation of your business is an opportunity to take advantage of, so don’t miss it! If you’re feeling really creative, creating charts recognizing individual workers you see contributing to the sustaining of 5S in a unique way can be helpful; this may seem a bit juvenile, but depending on your workplace culture it can also be highly effective. Click HERE for more 5S forms like this one. Speaking of “depending on your workplace culture,” what the heck is that anyways? Workplace culture is the overall mindset of your employees and encompasses morale, viewpoints, resistance to change, work satisfaction, and more. In short, it’s all about the collective mental and emotional environment of your workplace. Of course, it starts (and ends) with each individual worker. While workplace culture has close ties in “mindsharing” when it comes to 5S, they are not the same thing, as workplace culture encompasses quite a bit more. In general, a happy workforce is a productive one, and they’re going to be much less resistant to implementing the kinds of changes over time you need to keep 5S sustained. When something is new, people might innocently forget new steps or procedures, so you don’t need any active resistance compounding the problem. Additionally, workers who feel positively connected to your company are more likely going to want to work toward its change and betterment. When your mindsharing, training, results showing, and workplace culture all come together just right, you’ll find yourself on easy street. Remember, ultimately all Lean techniques boils down to the people behind them, and these individuals are the key to upholding, or “sustaining,” efforts of any kind. Next post What is Fault Current?